This week we implement the new changes coming to the enhancement system. These new additions should make it easier to get the gear you need to take on bigger and badder enemies. First we're adding Valks’ Cry, an item that will add to your current failstack up to +10. 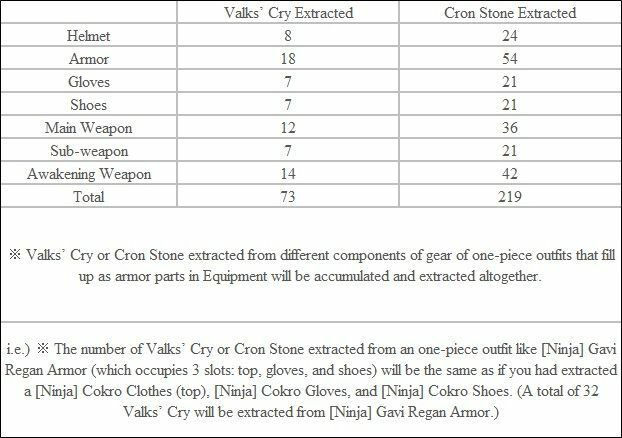 Additionally, we have added the option to extract Valks’ Cry and Cron Stones from Pearl Outfits. Valks’ Cry can also be obtained from events, drops, attendance, loyalty, and more. Alongside Valks’ we are adding Fairy's Blessing which will work the same as Valks’ Cry and can be obtained by trading in Leila's Petals to specific NPC’s. 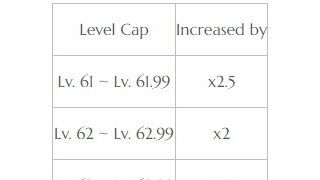 The long awaited Caphras Stone enhancement system is also coming which once added to one of your items, will accumulate energy that will allow for an enhancement with a 100% chance of success. 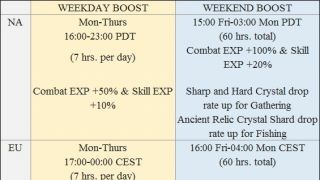 To help usher in these changes, events will be starting which will help all of our adventurers understand these systems. For more detailed information about these and other changes, continue on to the rest of the patch notes! ◈ A Late Summer Night’s Dream event has begun. • During the event period, new Challenge under Challenge tab (Y) will be available to obtain Late Summer Night's Wish Box! • Click <Here	> to see how you can score big in the late summer nights! ◈ Hands of Gold event has begun. • Event Period: 8/29 After Maintenance ~ 9/26 09:00 UTC. • During the event period, collect [Event] Golden Troupe Coin and exchange for precious items! -[Event] Golden Troupe Coin will be exchangeable even after the event ends. • Click <Here	> to see how you can participate in this golden event! 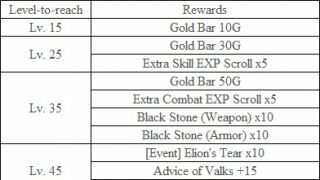 ◈ Valks Attendance Rewards event is back! • In this attendance event, check in every day for the chance to receive Advice of Valks and Valks’ Cry items along with more rewards! • Click <Here	> to see the daily rewards in detail! ◈ Black Spirit’s Adventure is back! 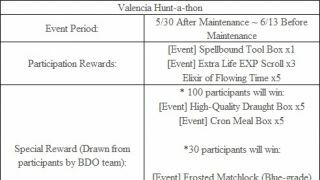 • Now Valks’ Cry will be obtainable as a reward (for completing 1 round of BSA1) along with some other changes in the rewards being given. 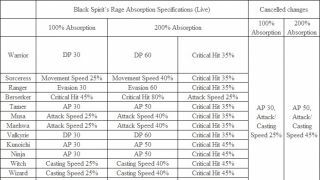 • This time, the dice can be thrown at max 5 times daily to participate in Black Spirit’s Adventure. ◈ New Rulupee Travels has been added as a permanent addition! • Rulupee has returned and is HERE TO STAY! Travel around Balenos, Serendia, and Calpheon now and check out the beautiful areas with Remastered graphics and audio! • Rulupee is preparing a special reward for all adventurers who complete the entire chain of Rulupee Travels quests, but it looks like she needs more time. Let’s give her some more time! • Click <Here	> to see the reworked Rulupee event in detail! 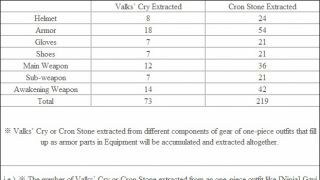 -Valks’ Cry and Cron Stone are items that help you enhance your gear. 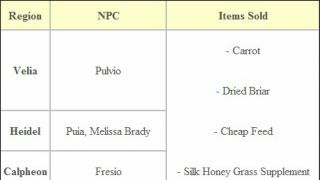 They will be obtainable through various ways such as droppable loot, event rewards, attendance rewards, NPC shop, Loyalties shop under Pearl Shop, and through extracting from Outfits. -Valks’ Cry increases your Valks enhancement chance by +1. At max, your Valks enhancement chance can be stacked up to +10 using Valks’ Cry. (Valks’ Cry is Family-bound). -The amount of Valks Enhancement Chance your character has will appear in the Enhancement window. -Cron Stone helps protect your Enhancement level from dropping when you fail at Enhancement. (Cron Stone is Family-bound). 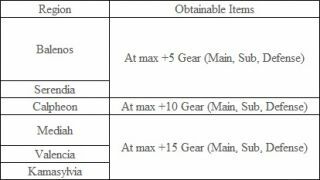 • Once your item is combined with the Caphras Stone, it will begin to gain EXP and as your item increases in level it will gain a boost in stats. 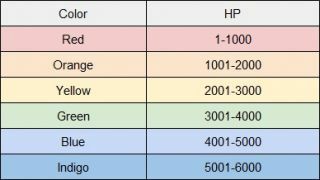 Once it has reached the maximum Caphras Level of 20 the ‘Upgrade Enhancement’ button will become activated and your gear can be enhanced to the next level i.e. III→IV, provided it is at Max Durability. Although, be warned, this will reduce Durability to 0 and reset the Caphras Level. • Caphras Stone drop at a higher rate in Kamayslvian regions compared to Valencian regions. 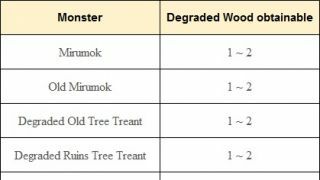 • The areas where Ancient Spirit Dust and Caphras Stone can be obtained are the following. • Caphras Stone can also be obtained through Daily Quest rewards, and it can also be obtained at a chance from opening Narc Magic Sealing Stone Reward Bundle. • You can obtain Ancient Spirit Dust and Caphras Stone from Mining, Underwater Gathering, Gathering (Collecting from tree sap or blood using Fluid Collector, Butchering, Lumbering), or from defeating monsters in areas of Balenos, Valencia and Kamasylvia. • You can get Caphras Stone x10 by performing Simple Alchemy with Ancient Spirit Dust x50, Black Stone (Weapon/Armor) x10, and Black Stone Powder x1. 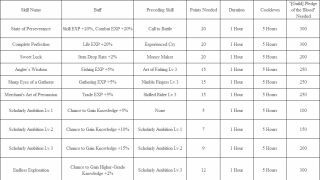 However, you will get the same amount of Alchemy EXP as when you make the stones one by one. • You can get Caphras Stone x1 for performing Simple Alchemy with Ancient Spirit Dust x5 and Black Stone (Weapon/Armor) x1. • With the new enhancement system added, Ancient Spirit Dust and Caphras Stone have also been added. 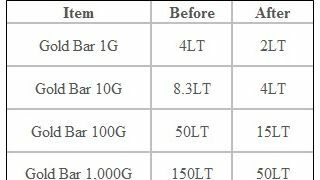 • For the table to see the benefits of Caphras Stone and Upgrade Enhancement, please click <Here	>. • Fairy’s Blessing is a special addition which works the same as a Valks’ Cry. Upon use of Fairy’s Blessing x1, Valks enhancement chance will go up +1. • Ceilyn is located to the right of Herawen in Kamasylve Temple. However, this exchange will not be activated when the quests ‘Laila's Scattered Petals’ and ‘Mysterious Companion’ are under progress. ◈ New Residence has been added to the town of Muiquun. 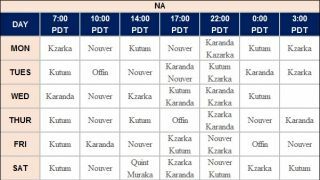 ◈ Makhan Murad, the new Marketplace Director NPC of Muiquun, has been added. • Makhan Murad does not engage in deals with adventurers with good karma. ◈ Lanterns have been removed from in-game. Lanterns will no longer be available via NPC Shops or other ways; please use Atanis Firefly that can be purchased from General Goods shops or Loyalties tab on Pearl Shop (F3) to light up the dark. 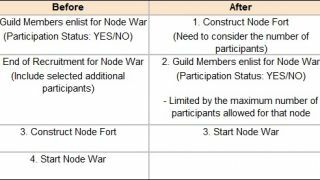 ◈ It has been changed that the war declared by a Guild of 10 or less members that is not accepted would be called off at midnight between Saturday to Sunday. ◈ The field music that was being played once has now been changed to play repetitively with a pause interval of 3 minutes. 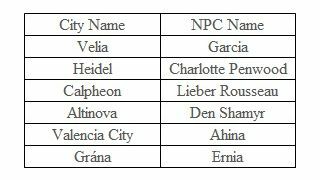 ◈ The length of busking music in squares of Velia and Heidel has been reduced to resolve the sound overlapping issue with background music. ◈ Fixed the issue where the screen appeared abnormal while conversing with NPC Konko in Outer Valencia City. ◈ Strange Villager and Strange Adventurer NPCs on top of the broken bridge of Serendia Watchtower have returned to their original locations. ◈ Fixed the issue where Knowledge was not being obtained when conversing with Cleia the Marketplace Director NPC of Heidel for the first time. ◈ Fixed the abnormal camera movement of NPC Holo the Node Manager of Holo Forest. ◈ Fixed the issue where another NPC’s dialogue would come out when talking with Soldier NPC in Outer Valencia City. ◈ Fixed the issue where the Knowledge icon of Melana appeared to be of another NPC’s Knowledge icon. ◈ If your character is too distant from the ship when pressing the Ship icon to get to the key of your Ship, a new system message, “Please move closer to the ship.” will now be displayed. • This applies only to Epheria Sailboat, Epheria Frigate, and Old Bartali Sailboat. ◈ The required Power to perform the skill Quick-Retreat has been reduced by 50% for Epheria Sailboat, Epheria Frigate, and Galley. ◈ It has been changed that the skills Fore Chop and Hind Kick cannot be used upon mounting your horse with the Matchlock equipped. ◈ Fixed the issue where the list of buttons that appear upon selecting your Mount in Stable would go out of the square background UI when the Screen Resolution Setting was set low. ◈ Fixed the issue where the reflection of light on golden and metallic outfits was too strong in certain regions when graphics setting was placed at Remastered Mode or Ultra Mode. ◈ Fixed the issue where CC skill effect would be applied intermittently while moving backwards with the Forward Guard maintained. ◈ Fixed the issue where the system message to instruct you on quitting Black Spirit’s Training was not being displayed. ◈ Fixed the issue where the cape and shield would appear overlapped when running with Durandal outfit on. ◈ Fixed the graphical issue where the gloves appeared to be buried underneath the skin with the Cavaro outfit on. ◈ Fixed the graphical glitch in the collarbone area with the Lazies Underwear on. ◈ Fixed the graphical issue where part of skin in the rear part would appear outside the underwear when trying to change the character’s appearance through the Beauty window (F4). ◈ Fixed the graphical awkwardness that occurred in a certain motion with the Zebra Underwear on. ◈ Fixed the issue where the inside of the arms appeared to be hollow upon wearing Valoren outfit. ◈ Fixed the issue where the hair part seemed empty upon customizing the Berserker’s hair to be shorted after wearing the Epheria Marine Helmet. ◈ Description of skills that use Black Spirit’s Rage will now be displayed in a separate window. 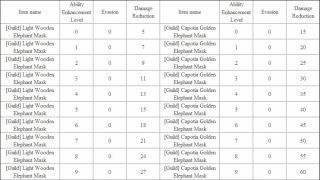 ◈ Fixed the issue where the skills Surging Tide VI and Absolute: Surging Tide could not be performed after using Evasion while mounting Heilang. ◈ The skill effect of the skill Absolute: Upward Claw has been revised. ◈ Fixed the issue where the damage from the skills Upward Claw III and IV performed while consuming 100% of Black Spirit's Rage was not being applied correctly. ◈ Fixed the graphical awkwardness on the waist area with the Cavaro outfit on. ◈ Fixed the graphical issue where parts of red were being shown in the feather area of Cavaro outfit when dying the outfit white. ◈ The hit sound of the Lancia has now been amplified to sound clearer. ◈ Fixed the graphical glitch of the tattoo on the arms while wearing Canape outfit when customizing from the old Wizard to the young Wizard. ◈ The missing text in the skill tooltip of Flow: Dash Slash has been added. ◈ The skill effect range for the skill Sticky Snowflake has been reduced. 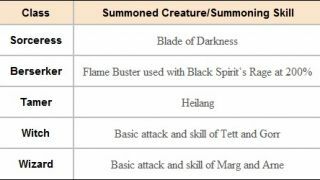 (This is for the skill performed after Awakening of the Maehwa). ◈ Fixed the description of the skill Chaos: Red Moon using Black Spirit’s Rage at 200% to be more accurate. ◈ Fixed the graphical issue where the Jasmine Garter Belt Underwear would appear outside the outfit. ◈ It has been changed that cooldown would not reset upon using the skill Unveiled Dagger after using Dusk. ◈ Upon use of the skill Flash Step consecutively using Martial Spirit Shards, the skill will now be activated smoother. ◈ Another following skill after using Crouching Wolf will now be activated faster in a combo in Gardbrace mode. ◈ Fixed the unnatural starting motion of the skill Ultimate Crush IV. 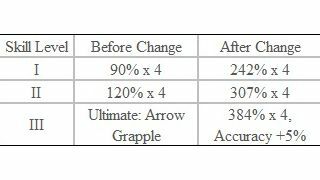 ◈ Fixed the unnatural starting motion of the skill used during cooldown of Ultimate Crush II, Ultimate Crush III, and Ultimate Crush IV. ◈ Fixed the issue where the Striker would go into Awakening mode after using a jump attack from a high place in Gauntlet mode. ◈ Fixed the graphical awkwardness in the wrist part with the Blazing Inferno outfit equipped. ◈ Fixed the graphical awkwardness in the arms when removing the cape with the Valoren outfit on in Crimson Glaives standby mode. ◈ Fixed the graphical glitch of the armor penetrating through the Crimson Glaives when equipping Dandelion Crimson Glaives after putting on the Valoren outfit. ◈ Fixed the graphical issue where the waists looked empty with the Karlstein outfit on. 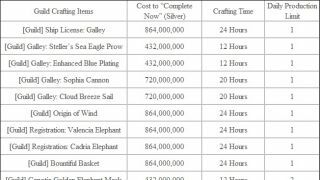 ◈ Price of Marketplace-registrable Pearl Items have been increased. 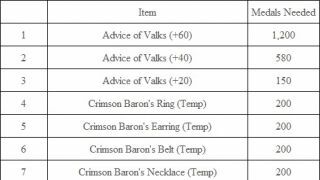 ◈ Valks’ Cry will now be extractable from Outfits purchased from the Pearl Shop (F3). ◈ Fixed the mistake in the item description of Gazelle Meat. • Correct usage of Gazelle Meat is for Steak, Meat Stew, Meat Pasta, etc. ◈ It has been edited that upon Cooking, Gazelle Meat can be replaced with Deer Meat, Lamb Meat, Fox Meat, Rhino Meat, Pork, or Beef. ◈ New Processing method has been added so that by Drying Gazelle Meat, Rare Jerky will now be obtainable. ◈ The item description of Archaeologist's Map has been edited. • Before: ※ Click the button located on the upper right-hand side of the screen to go back to your original location. • After: ※ Click the button located on the lower right-hand side of the screen to go back to your original location. ◈ Pearls inside the Pearl Box shown in the preview of Pearl Shop will now appear shiny even with non-remastered mode of graphics. 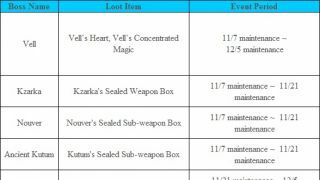 ◈ The following items will now be obtainable as droppable loot for defeating World Boss Vell. ◈ Upon death of the Fat Catfishman, the screen will now shake less. ◈ A new system message, “You can summon after the previous summoned guild boss disappears.” will now appear upon duplicate-summoning Muskan of Madness and Ahib Griffon. ◈ New monsters Kreator, Alten, and Kalten has been added to the Valencian Desert. • Kreator roams around the Valencian Desert and summons the ancient weapons Alten and Kalten when engaged in combat. • Kreators will be a rare find, and upon defeat, they will reappear with about 10~12 minute cooldown. • Upon defeating Kreator, Alten, and Kalten, there will be a high chance of obtaining Knowledge. ◈ Fixed the issue where the quest [Dark Knight] Desire for Power could not be progressed after throwing away the Basteer Kriegsmesser. ◈ Fixed the issue where the completion NPC of the quest The Sacred Ritual of Home was written wrong. • The correct completion NPC is Tiu. 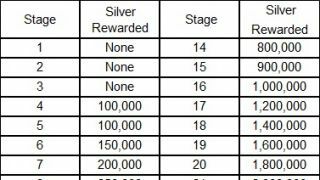 ◈ As the event that gave double the Silver and Guild EXP bonus for completion of Guild Mission has ended, the Guild Mission completion bonus has returned to normal. ◈ The Lantern as the reward for the following quests has now been changed to Atanis Firefly which serves the same purpose. • Did You Say Rock Spider? • I Need Cedar Sap! ◈ It has been changed that Monastery Boss Summon Scroll can now be used inside the Bloody Monastery. ◈ A new button that allows you to hide or show the character’s cape has been added to Dye window(J) and Pearl Shop(F3) window. ◈ The widget UI that displays time in Time Attack (during battle with World Boss Offin or Altar of Training) has been changed. ◈ Fixed the color issue in the Change Skill button in Worker List window. ◈ Fixed the text regarding stacked Taxes in Collection window of Lordship Menu. ◈ If the rewards of Challenges that can be achieved in Challenge tab (Y) are the same, the Challenges will now be combined and displayed under one Challenge. ◈ Fixed the issue where Ship Durability notification would not be displayed in the remastered UI of a Sail Boat. • Shop Durability notification will now be displayed for Sail Boat and Battleship. ◈ Fixed the issue where the HP bar gauge of a boss monster would not be clearly visible in dark places. ◈ The size of the buttons in Party UI window has been increased in size to resolve the issue of the text going out of the box. ◈ Fixed the issue where black shadows would appear on the left and right of the portrait you take on your character through Take Photo option in Beauty Album. ◈ Lantern has been removed from Equipment window. ◈ The design of the Custom HP Bar, PvP Button, Black Spirit’s Rage gauge, and EXP bar has been changed. ◈ Background image of the Minimap has been removed. ◈ Fixed the issue where Remastered UI would disappear after the tutorial on Skill Acquisition. ◈ The checkbox of the Custom HP Bar in Edit UI window has been relocated. ◈ Fixed the issue where remaining time in Guild Missions was not being refreshed intermittently. ◈ Fixed the issue where Quick Hotkey could not be set with Find NPC button. ◈ Mount Music will no longer be searchable in Settings window. ◈ During cooldown after utilizing all Maids, notification will now be displayed on the Maid Icon on top-left corner of the screen. ◈ Fixed the issue where the menu UI to choose your Transportation was being overlapped with item slots. ◈ Fixed the issue where the amount of Silver ‘Held in Storage’ came out differently for Marketplace and Pre-Order window. ◈ Fixed the issue where the Pet would not follow the character upon the use of Emergency Escape. ◈ Fixed the issue where Trade Wagon in Altinova would not engage in Transport. ◈ Fixed the issue where the list of servers in Server Selection window would be refreshed every 15 seconds. ◈ Fixed the issue where monsters would appear from abnormal places intermittently during the waves of attack in Savage Rift. when is the valkyria going back to black desert?